For those that have a good writing flair, you can try to write a book, have it published to be sold on Amazon, the largest book store in the world! I see that there is birth of local writers booming in the publishing world. With the age of internet, the world is truly your oyster. Aim High! What in hell happened to the publishing industry? I wrote a novel and sent it out for publication. To my surprise I received multiple offers within a week. (I expected years of rejection, so I wasn't prepared.) It's set for release in the fall. In the meantime, I just entered a foreign land of marketing and promotion. They don't tell you that part! The hard part comes after you have written the damn thing. My blog explores how to navigate this crazy world of Amazon and Google ratings. 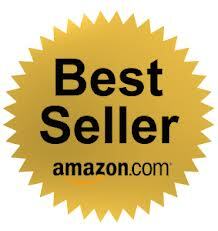 I will be writing my next book about turning your book into a bestseller through online promotion after this! Join the conversation into her blog.